This feels like a book that's only partly finished. Yes, it's a "romance" novel, but should still be some sort of setting and storyline. Instead, the author quickly forces her two leads together under the premise of their knowing each other as children. We're treated to overly long and not well-integrated random flashbacks to said childhood, but it's not enough to "sell" their supposedly close former relationship. It just never worked for me. Subplots are introduced and are either uncomfortably obvious (a crooked property manager), or go absolutely no where (random ex girlfriend). Dialogue sounded weird and off to me, not particularly like two intelligent adults speaking. Suffice to say I wasn't a huge fan of either character, nor the way they expressed "love" through extreme neediness/obsession. How is this mess of a story finally resolved? In the final couple of paragraphs--all neat and tidy naturally. This one is an absolute stinker. I want to like this a lot more than I do. 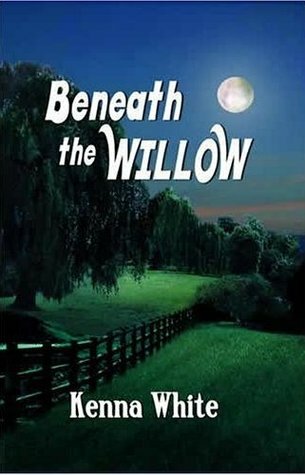 The characters and setting of Beneath the Willow are very appealing, and the romance aspects are quite satisfying. It's just that there are too many things that just get resolved far too easily, like Sloan's ex-girlfriend who appears, is established as not the right girl and is never heard from again. Or the crooked real estate agent, who you suspect is dirty for half the book, and then the whole thing is resolved in a couple of pages. The ending isn't much better for those of you who like a big finish and denouement. There isn't any of course, everything just gets wrapped up literally in the last paragraph. Almost as an afterthought than a conclusion.Altogether there's a lot unsatisfying here, which is a real pity since so many of the individual elements are so good. This is a sweet love story, handled lightly. Two childhood lovers (Paris and her Banyon, Missouri, neighbor Sloan) meet again as adults when Paris visits Banyon again. Their childhood attraction is rekindled into an adult love affair. All seems well until nearly the ending when Paris's world comes unglued (subtly foreshadowed but surprising anyway). In the last 40 pages, there is a rocky road as Paris tries to come to grip with a tragic loss and its impact on her current and future life--and whether she can risk loving Sloan. Detailed sexual scenes, charming dialogue. Enjoyable read. Sweet storyThis was indeed a bittersweet story of getting a second chance to love and be loved again. Very well done! Solid story with likeable characters, trademark sudden ending. Some descriptive passages could have been edited out, but it was ok for what it wants to be. Good for a couple of train rides.